Thanks to the Amazon Alexa compatibility, you can simply use your voice to customize any aspect of the refrigerator’s performance. And due to the Kenmore Smart app, you can monitor the operation of the fridge via your smartphone. Fingerprints show on Black and Black Stainless Steel models. 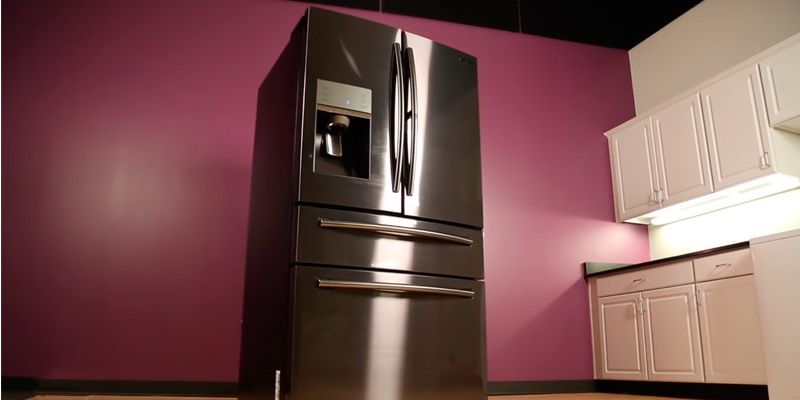 This is a smart french-door refrigerator that can be controlled just from anywhere in the world. It offers a generous capacity and uses innovative technologies to maintain a perfect microclimate for your produce. The fridge uses the ActiveSmart technology that always keeps the optimum temperature for your foods. Due to this technology, the fridge can also sense new items and rapidly chill or freeze them to retain as much moisture as possible. The capacity could be larger. 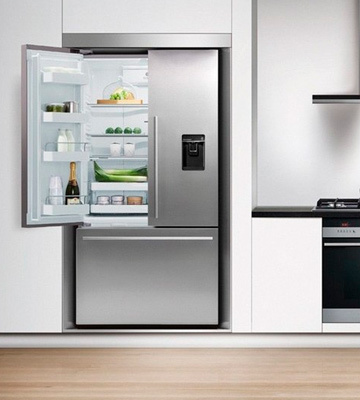 The Fisher Paykel RF170ADUSX4 is an ultra-slim refrigerator that won’t jut out into your kitchen. It has a counter-depth design yet offers enough capacity to store foods for families consisting of 2-3 members. MetalCooling system is excellent for preserving even indoor temperature and its refrigeration after the door has been closed. Owing to the FoodShow Case door, you can easily pick whatever food you like. The fridge is rather noisy. Apart from being spacious, this multifunctional device is very stylish and reliable. Consumers who are fond of high-technology devices and care of proper food storage will surely appreciate it. The device has the highest capacity among its analogs. Owing to the Door-in-Door system, you can easily pick the food you need from the door shelves. It's difficult to accommodate high utensils. The storage capacity of this appliance is ideal for large families. A shelf arrangement is super convenient for a family use, allowing for a proper storage of food. The ice maker (inside the freezer) is completed with a plastic scoop, a thoughtful addition rarely seen in other french-door refrigerators. It has no water dispenser. The Thor Kitchen company offers you a luxurious, frills-free fridge that won’t cost you a fortune. 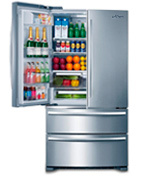 With its sleek stainless steel exterior and strong inner components, the fridge is really built to last. Kenmore Smart 75043 24 cu. ft.
Kenmore offers you one of the wonders of modern technology you can bring right to your kitchen - the ultra smart french-door refrigerator. 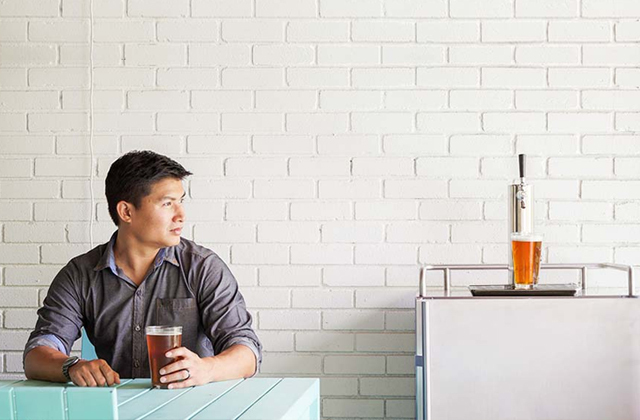 It’s one-of-a-kind fridge that can be controlled just from anywhere in the world via a smartphone. 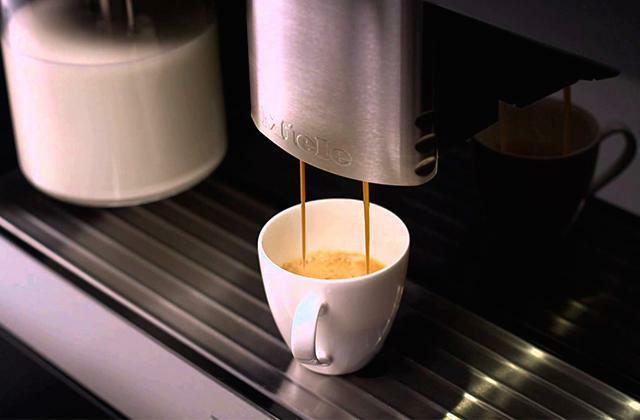 All you need to do is download a special Kenmore Smart app. With its help, you'll be able not only to monitor the operation of your fridge but also to set it to do certain things, like, for example, crank out some ice if you have unexpected guests. Of course, you can also monitor (and adjust) the temperature, filter performance, and door open/close status of the fridge as well. If something goes wrong, you'll instantly get an alert to your phone. However, we doubt you'll ever have a more serious issue than an open door - the fridge has a diagnostics system that prevents any disorders making it maintenance trouble-free. Another ace up its sleeve is the Amazon Alexa compatibility - you can simply use your voice to customize any aspect of the refrigerator’s performance. One more unique technology used here is GeniusCool. 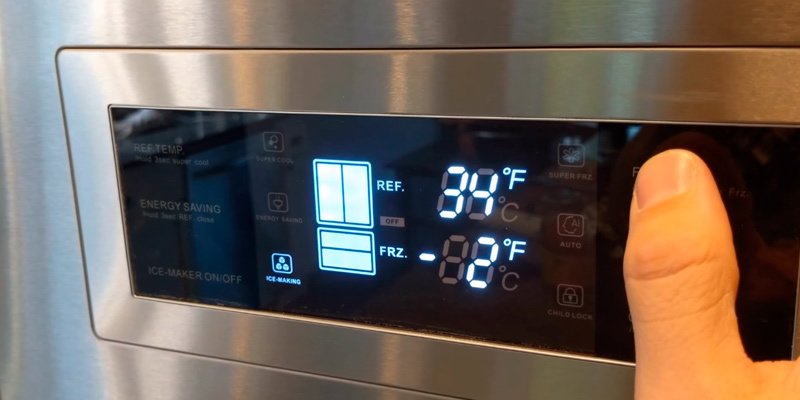 Thanks to this technology, the built-in computer always maintains the ideal temperature and humidity levels in both the refrigerator and the freezer. Plus, Multi Air flow technology allows cold air to reach every corner, while the CleanFlow air filter removes food odors. 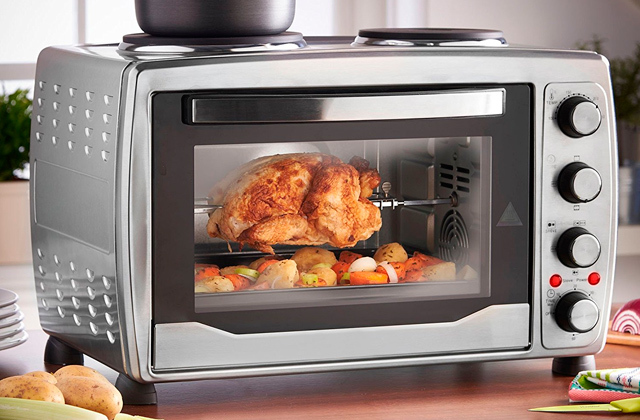 The Kenmore Smart 75043 is a strong performer in terms of capacity as well. It offers 24 cu. ft. to accommodate all your foods and keep them fresh. Featuring a well-thought-out design, the fridge has exclusive two SlideAway shelves, a fold-in shelf for taller items, and a mini water filter to hep you save more interior space. 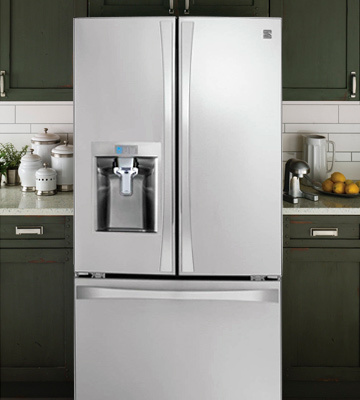 Inside the fridge, you'll also find a slim in-door ice maker, designed to give you more storage space on the top shelf. From the outside, the fridge is hardly a standout. With a water dispenser and three buttons on the front door, it looks like most other french-door refrigerators. Touchable icons allow you to choose “Water”, “Ice”, or “Crushed ice”. Yet, all the other “smart” controls are neatly hidden inside to make the fridge look more streamlined from the outside. 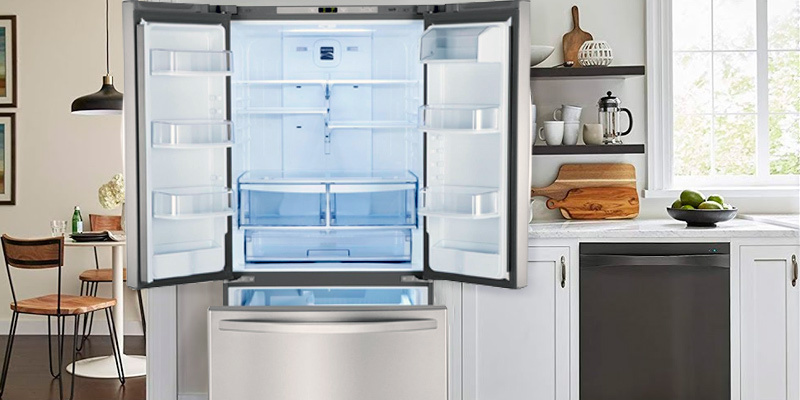 To wrap things up, we can recommend this feature-rich fridge for those who value high technology, great capacity, and their time. Of course, this fridge costs a bit more than its counterparts yet it’s definitely worth every cent. Fisher and Paykel is famous for its long-lasting fridges that are both simple and sleek-looking, and this model is exactly like that. 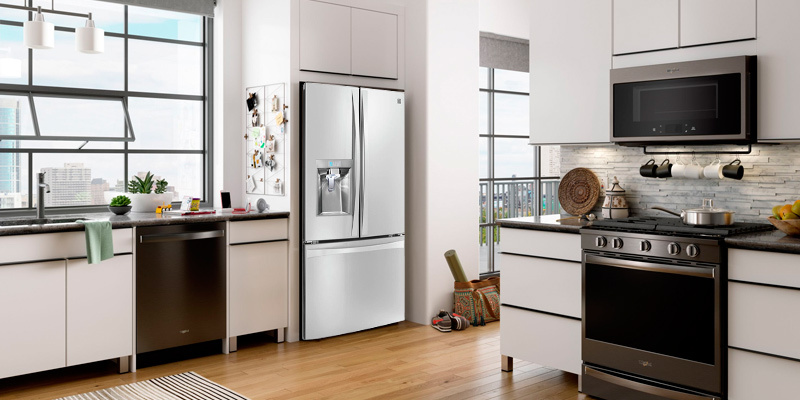 The ActiveSmart French Door Refrigerator has no bells and whistles, yet it’s stoutly-built and looks elegant. It’s only 31-inch deep, meaning it won’t jut out into your kitchen. The trade-off for that counter-depth design is a relatively small capacity of 16.9 cu. ft. Inside, you’ll find just 3 shelves that go across the full width of the chamber. And unlike flimsy-looking plastic spill proofing around the edges of shelves, this fridge boasts brushed metal spill proofing that looks more elegant and durable. 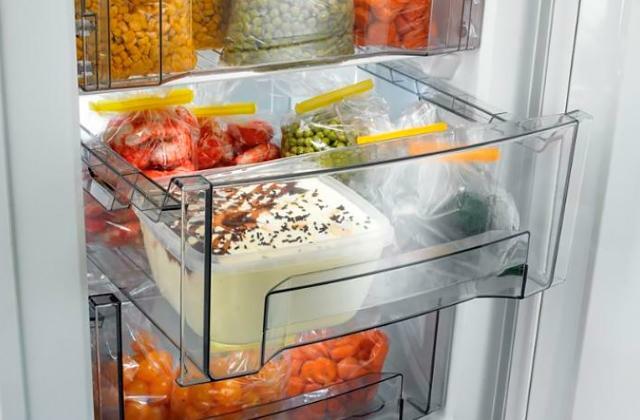 All the removable bins in the fridge and freezer are transparent, so you’ll be able to quickly pull out the necessary container without shuffling through others. The same is true for the ice bin. The fridge has a water dispenser that’s fairly slim so that you could get full storage on both doors. 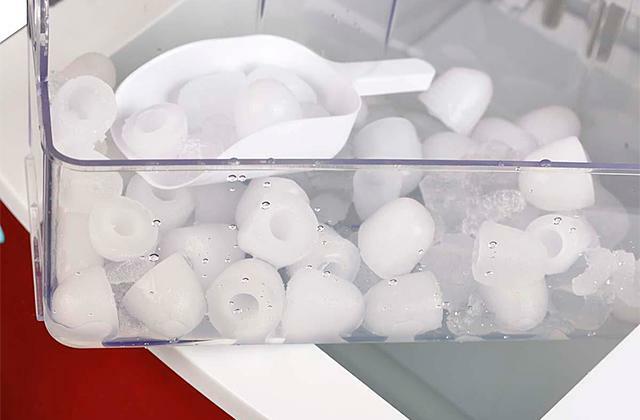 However, take note that the dispenser doesn’t produce ice - only the ice maker in the freeze can dispense it. That’s the price for the super-shallow water chamber on the door. Although we have said that it’s a frills-free fridge, it still has quite a lot to offer. For example, the individual humidity-controlled drawers allow you to keep fruit and veggies fresh for a long while. Another nifty feature is the ActiveSmart technology that creates and maintains the perfect microclimate for your produce. The fridge features a smart microprocessor, temperature sensors, fans, and multiple air vents. The interior sensors send information to the microprocessor that further analyses and adjusts the compressor and fans automatically to deliver optimal results. Also, due to the ActiveSmart technology, the fridge senses new items and rapidly chill or freeze them to retain as much moisture as possible. 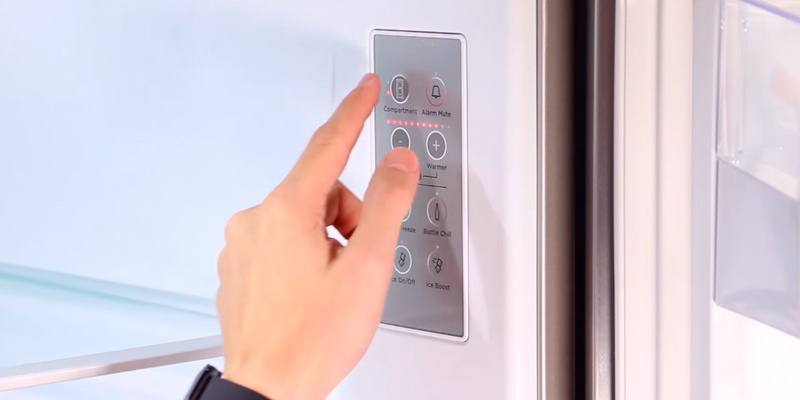 Naturally, you can control the temperature manually, using the buttons located inside the fridge. All things considered, if slim design, superior durability, and perfect microclimate are the things you cherish in a refrigerator, the Fisher Paykel RF170ADUSX4 will tick all the boxes. 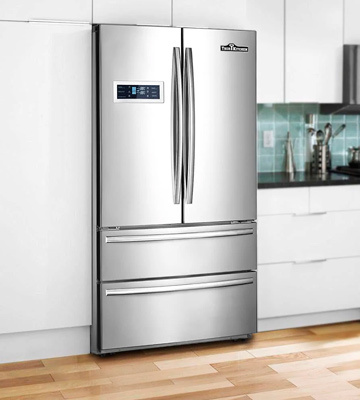 The following dimensions - height is 70", width is 35 3/4", and depth 36 1/2" -make Samsung RF28JBEDBSG Food Showcase French Door fridge a good fit in a mid-sized and big kitchen. The total capacity of the fridge is 27.8 cu. ft. It is great for storing a large amount of food. The capacity of the refrigerator section is 19.5 cu. ft. while its FlexZone capacity is 8.3 cu.ft. Owing to the linear compressor, the power consumption of this model is 720 kWh per year. Moreover, the device has the ENERGY STAR certificate proving that it consumes 20% - 30% of electric power less than its counterparts. Consequently, the device is a combination of an energy efficiency and high performance. This appliance can provide an effective storage of your perishables due to the number of functions it performs. For example, multi-flow cold air feeding is excellent for distributing even temperature in all sections of the appliance. Besides, Metal Cooling system helps to preserve coolness in the fridge due to a built-in door metal slab. Moreover, owing to FoodShow Case system, you can easily reach for the shelves and pick up the food you need. A Flex Zone compartment is also great for keeping your food fresh by setting the appropriate temperature mode. 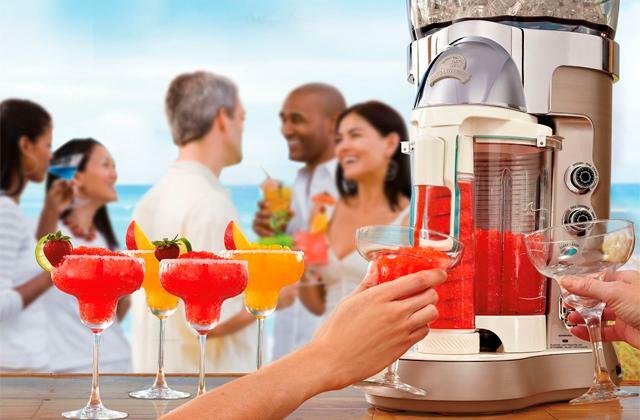 As for ice generator, it will always provide you with fresh water and ice. In addition, this refrigerator is protected from voltage swings. Amazing! The stylish design of this stainless steel fridge will fit any interior. It should be noted that a sensor panel which can control operation modes is not only very convenient to use but also a very important detail of the entire fridge’s construction. A refrigerator section is fitted with 4 shelves (3 full-width shelves and a narrow one) while a freezer compartment has 1 slide out drawer with a pocket for semi-finished pizza and other stuff. 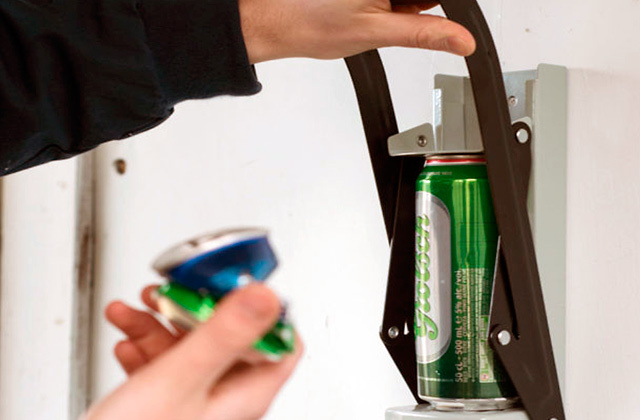 The EZ-Open handle allows for easy and effortless opening of the door. 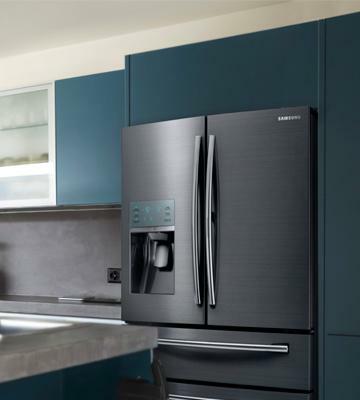 Although this fridge is often compared with Amana French Door refrigerator, Bosch French Door refrigerator, and Viking French Door refrigerator, we stress that Samsung model is recognized as the best middle-class device. The sides and top are a textured black semi-gloss finish. The controls are intuitive and easy to operate, the handles are easy to install on the door and easy to operate. I LOVE the easy access door to all of my frequently used items! We enjoy the door in door feature for quick access to milk, butter, and other condiments, not to mention baby bottles. The alarm features on this fridge are great too. Now I don't have to follow after the kids to make sure they closed the door properly because the fridge will let them know if they didn't. 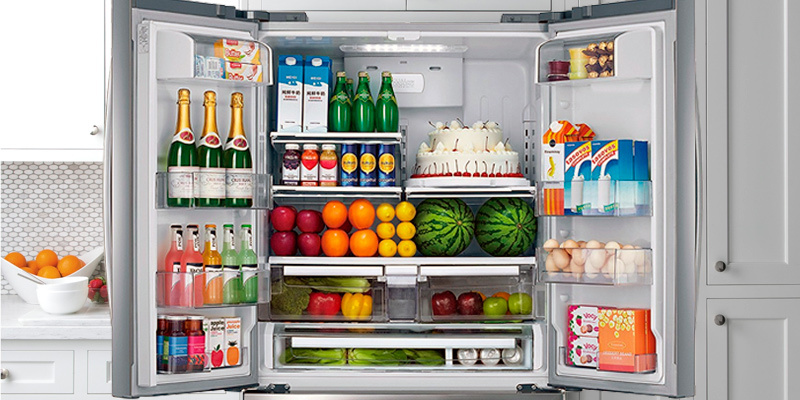 This is a huge, amazing refrigerator. So much space for everything! aAnd boy is it bright! Things seem extra cold, not like my old fridge. Some of the features I didn't think I'd like were the Showcase door and the Flexzone drawer. Well, I was so wrong! The food showcase door is used quite frequently and reduces energy consumption as you don't have to open the whole refrigerator to grab milk, condiments, etc. 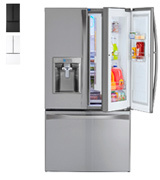 Taking into consideration dimensions of this LG French Door refrigerator (68 3/8 "x 35 3/4"x 36 1/4"), the device has the largest capacity among its analogs - 29.6 cu. ft. The refrigerator section is 19.5 cu. ft. while the freezer is 10.1 cu. ft. Furthermore, Slim SpacePlus system provides extra space on the shelves and in-door compartments. Due to the linear compressor, power consumption of the model is 784 kWh per year. It should be mentioned that such index is low for high capacity of the fridge. As energy effectiveness of the device is approved by the ENERGY STAR certificate, you will not spend your money in vain. Owing to a multi-flow air feeding system and 9 temperature indicators of Smart Cooling Plus System, it's possible to maintain a constant temperature in each section of the fridge and prevent spoilage of food. Crisper bins are excellent for storing such perishables as meat or fish due to the humidity adjustment. As the appliance is fitted with the Door-In-Door function, consumers can easily pick any food stuff from the door shelves. Thus, it leads to a minimal loss of cold air (especially in the refrigerator section). Bingo! Being finished with light stainless steel, this device looks very stylish. The Sensor control system is great for selecting a temperature mode and tracking ice generator functionality. 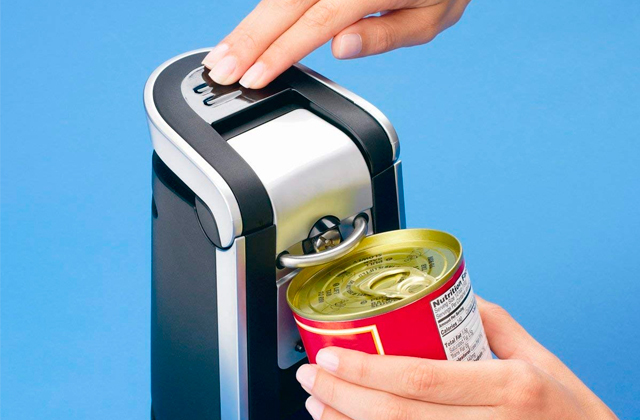 A SmartPull freezer handle can allow you to open the door with one easy hand movement. 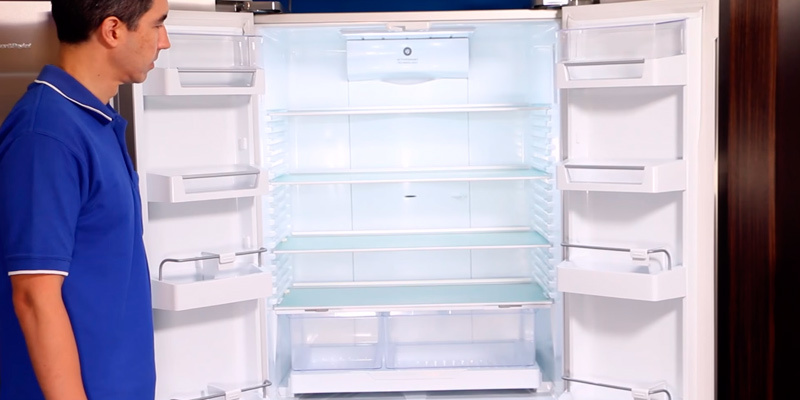 The refrigerator section features 4 shelves (2 full-size shelves and 2 foldable ones) while a freezer section is fitted with a 3-level drawer that is appropriate for storing various frozen food. We particularly like the door-in-door feature and being able to access frequently used items without opening the full door. I sure wish we had this feature when the kids were small! Looks great in our kitchen. Very spacious and easy access to everything. The door in a door feature is great for frequently used products. Glad we made the purchase. Freezer is awesome too just the right mount of space! I have 5 people living in my house and we all have perfect amount of room! 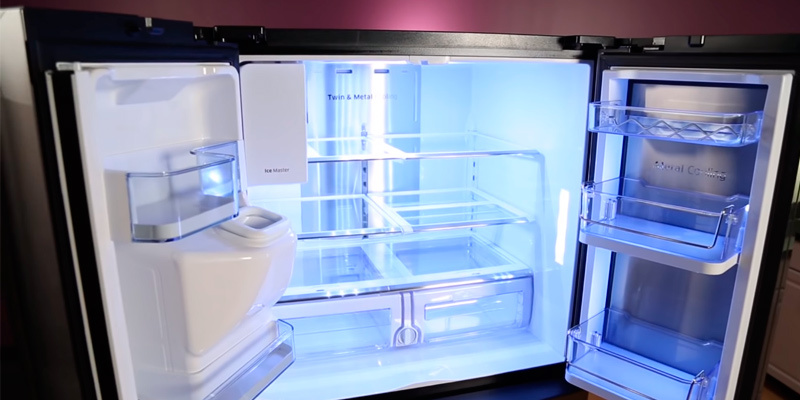 The inside LED lights make contents easily visible, and we live the separate freezer sections. Love the option to connect fridge to the power company, so they can power down the fridge during peak times. Thor Kitchen belongs to that rare type of companies that produce “less but better”. It offers a very limited range of products yet all about them screams high quality. So, if you need the kind of fridge that will last you a lifetime without failing you, then take a look at the HRF3601F Cabinet Depth French Door Refrigerator. It's a luxurious, "pro-style" fridge that is made out of high-quality materials yet doesn't cost a fortune. The unit has a counter-depth design, meaning it'll fit perfectly flush with your countertops. Yet, despite such slimness it offers 21 cu. ft. of storage space, which is quite a lot. 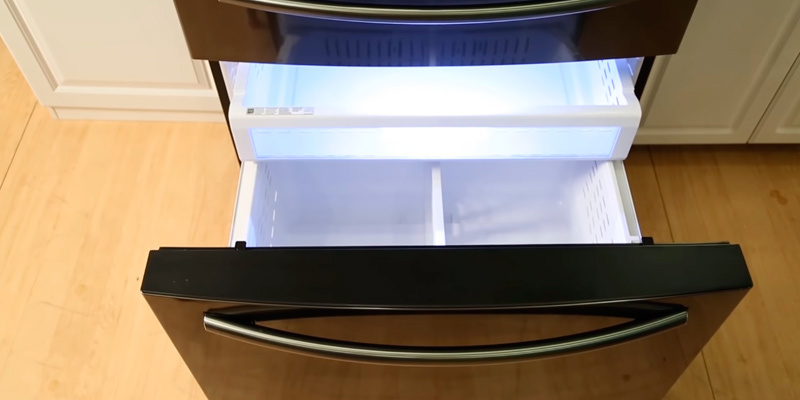 The interior of the fridge offers nothing extraordinary except for a deli drawer that runs a little colder than the other compartments of the fridge. It's a good place to store meats and cheeses. Also, there is a small pull-out bin in between the crispers, which might be useful for things like shredded cheese, sausage, or olives ahead of a party night. The most notable design element of the Thor Kitchen HRF3601F is certainly the split freezer. It’s fairly large with two drawers stacked on top of each other. Inside the freezer there is a small ice maker that dishes out ice cubes into a bin in the top drawer. The ice maker is completed with a plastic scoop, a thoughtful addition rarely seen in other french-door fridges. However, take note that the ice can be produced only in the freezer - there is neither ice dispenser nor water dispenser on the door. Only a LED control panel. At any rate, if you're looking for a high-quality stainless steel fridge with a capacious freezer and consistent cooling power, this is a solid fit. It has a rather bare-bones build without a water dispenser, but still, we believe that it offers an excellent value for the money. It’s a great bargain you just can’t miss. The construction of the french door refrigerator implies that its freezer section is located under the refrigerator compartment. Besides, a refrigerator section features a double-wing door. 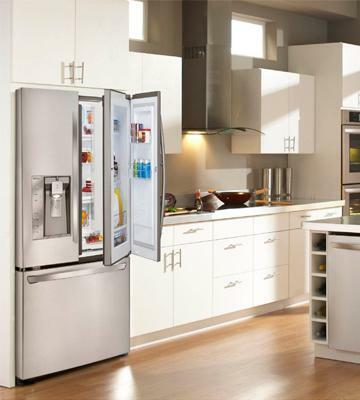 As for dimensions, French Door fridge models can be compared with their Side-by-side counterparts. Nevertheless, French Door fridges are deprived of the vertical baffle, thus, their effective capacity is large. 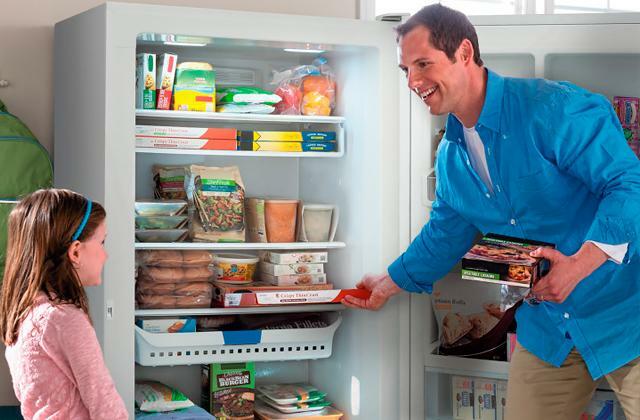 A freezer section often features slide out drawers and swinging single- or two-wing doors. Furthermore, it's possible to accommodate large dishes in all sections of the refrigerator due to its full-size shelves. 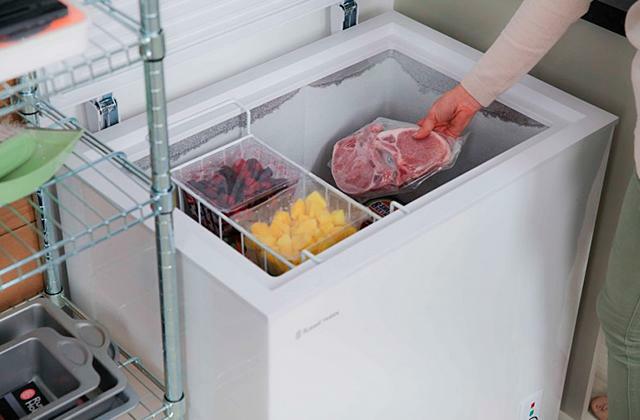 A freezer section is excellent for storing plenty of perishable food fresh. If your kitchen is rather small and you haven't got enough space for a bulky fridge, please, pay attention to compact refrigerator. It is similar to all other refrigerator models since it performs the same functions but requires less space. In case you need more storage capacity in a freezer section, it’s useful to consider the freezer review. When it comes down to buying a French Door fridge, customers always pay attention to its dimensions. Since all french door refrigerators are rather big, they require plenty of space. And it’s not only the place where you’ll have it set but also some space for having a door swung open. So, make sure your calculations are right and you get a fridge of the right size for your kitchen. It’s easy to come to the wrong conclusion that French Door refrigerators are designed for big kitchens only. Well, they’re not. There are models with a lower depth, more suitable for smaller premises and taller fridges for apartments with higher ceilings. The choice is vast and you’re up to decide. 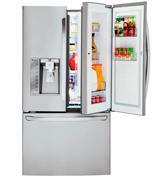 Consider capacity of different French Door refrigerators. If you’re a big family, more likely than not you’d want to have plenty of drawers and shelves for keeping various food stuff. Very few people love shopping every day, most of us now prefer storing a lot of food to last for a week. Yet, fridge capacity affects its energy consumption. Today most modern French Door refrigerators are equipped with line compressors which ensure whisper-quiet operation and are ENERGY STAR Certified. 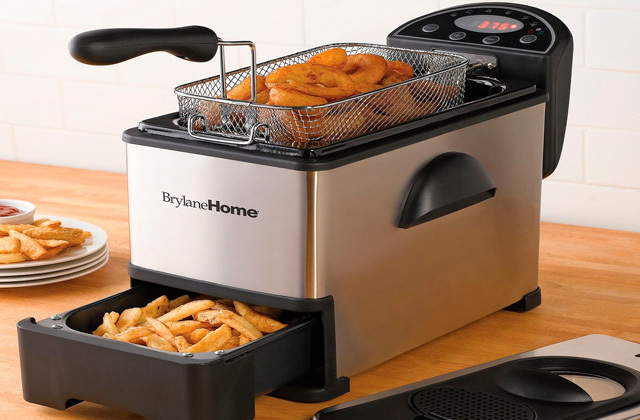 Regarding functionality, this appliance can provide us with various opportunities. For example, a multi-level system of air cooling is perfect for food storage. Food compartments with an adjustable humidity level and a temperature mode 29 ℉ - 42 ℉ are great for keeping your meat, dough, fish, and cold collations fresh for a long time. 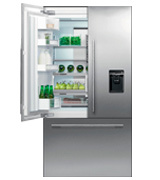 Furthermore, an appliance can be fitted with compartments which make this fridge very convenient to use. 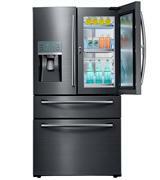 In addition, some modern refrigerators are equipped with ice generators and water dispensers too. It should also be noted that such water is filtered before being supplied to a water dispenser. 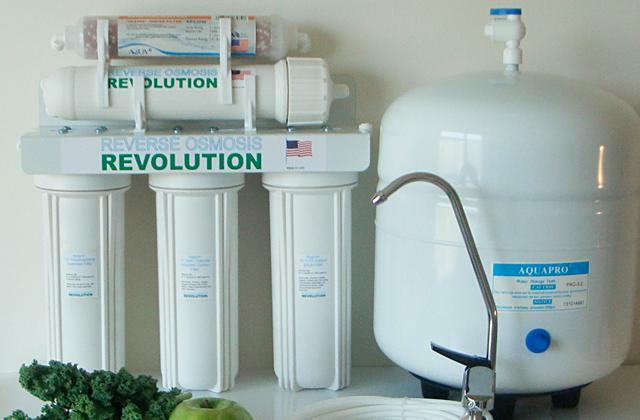 Thus, you will no longer ponder on water quality and a number of ice cubes in your fridge. A refrigerator has become a center piece of furniture in any house therefore, its convenience of use is important. There are plenty of little things you may want to consider before buying a fridge. For example, there are models with SmudgeProof feature that allows for opening and closing a fridge without leaving any fingerprints on its glossy surface. You may actually let your kids even draw on it. All paints will be wiped out with ease. Consider what type of control suits you better. There are mechanically and electronically controlled fridges, though the latter are more popular and more accurate when it comes to maintaining the temperature. Pay attention to the number of shelves and drawers, what kind of drawers there are, is there a chance to remove one to store bulky items, how many shelves you need. There are many things like that, affecting usability of the fridge. We’d also like to draw your attention to the LED backlit front panels. Today it’s not only cute but also helpful when one needs to track his route to the fridge in the nighttime. Some fridges have also got colorful displays to flip and show your pictures that you’d like to look through while being in the kitchen.